Dear fellow TFL bakers, I have a challenge for you! During our recent trip to Germany we spent a few days in Potsdam, to visit Frederick the Great's Sanssouci. 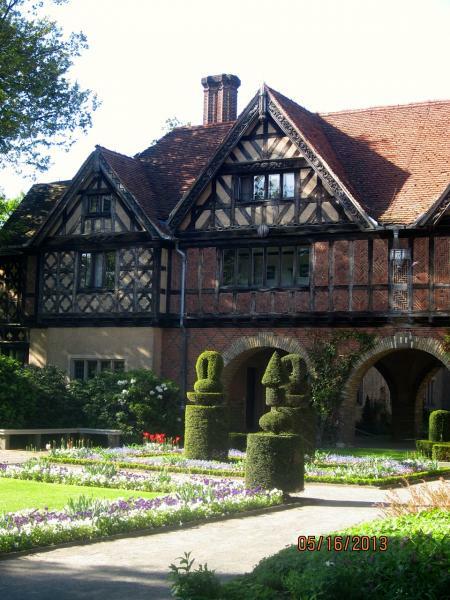 We stayed at Schlosshotel Cecilienhof, a wonderful hotel right inside another historic site, Cecilienhof Palace. Unfortunately they didn't supply the bakers' percentage! I couldn't stop thinking about it, and see this as a challenge worthy of my talented fellow bakers at TFL. Certainly not all ingredients will be available for us, and we have to come up with a formula, but that is the fun part of it. WHO WANTS TO JOIN ME AND TAKE UP THE CHALLENGE? This is right up her alley but I wil have to stop her from 2 things Adding to the ingredient list and DaPumperizing it. Are these listed in order by the amount used like in the USA? It looks like to but you never know. I'm really shocked this fine looking commemorative bread from Germany doesn't have a dark beer in it :-( Where do you get chestnut flour? Italy? Sounds like fun supplied by the Queen of Seeds! I'm pretty posititve they are listed in order of their weight, with rye meal the most, and yeast the least amount. I can get chestnut flour (or meal) at our local natural food store, whole foods might carry it, too. I'm very happy to hear that Lucy is in! I'm not running the race but I'll cheer from the sidelines. Can't wait to see how the race ends up. hooked on hemp seeds before you know it - if you aren't careful - so beware. My poor apprentice has never been the same and has been trying to build a greenhouse in the back yard for over a year now :-) Thankfully, Lucy is more of a baker than a builder! I do hope for several people joining, and I will definitely feature the recipes, or the links, on my blog. and I see that he's already raidng the pantry! This looks an awful lot like a vollkornbrot, which makes me wonder if the fermentation process and baking profile is similar. How big was the loaf, Karin? 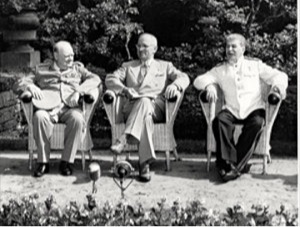 In the photos, it looks like it might have been baked in a 3x3 inch, or 75x75 mm, pan. Is that about right? I'll stay in the bleachers with Jerry for this challenge but it looks like it could be a fun show. This is certainly a kind of vollkornbrot. I would tend to make it like my Friesisches Schwarzbrot, with an intermediate dough, and no added yeast. Your eyeballing must be pretty accurate, it was a long loaf, but no large diameter. stuff is in the crumb shot? There are only flax and sunflower seeds listed and the rest of the stuff is either ground meal or rolled stuff that disappears? I think something is missing from the list that is some kind of nut or fat seed and I'm guessing some kind of nut, not walnuts or pecans - maybe chopped chestnuts? No, these aren't nuts, these were sunflower seeds, there were a lot of them in the bread (third ingredient right after rye meal and water). I don't think, Lucy would find it a sacrilege to substitute chestnut flour with some nut meal. they had to be sunflower seeds too but I use them a lot and never had them ever look that big or white like that in the crumb. They must be using gigantic bleached ones! I got some fresh water chestnuts at the Chinese market to sub for the chestnut flour in a pinch. Hey, they sure look like chestnuts from the outside even if they may not taste like them.... Oddly, chopped up they would look just like white bits in the bread. I'm thinking an Italian market might stock some chestnut flour. That's why the seeds look so big, proportionally. I doubt that they are anything like mini's Chilean pine nuts for size. It must be whole oat kernels, soaked and probably cooked. I love the picture of the breads on the table. It shows baked goods receiving proper reverence and respect. Something not always found in the U.S. Actually, it is almost never found in the U.S. Good luck with this project and I have no doubt about the outcome in hands as capable as yours. I agree, the vital wheat gluten is probably not even necessary, especially if you use bread flour for the unspecified "Weizenmehl" (which is not whole wheat). I would bet that the white bits are steel cut oats. It looks like they are almost completely whole. Added uncooked? 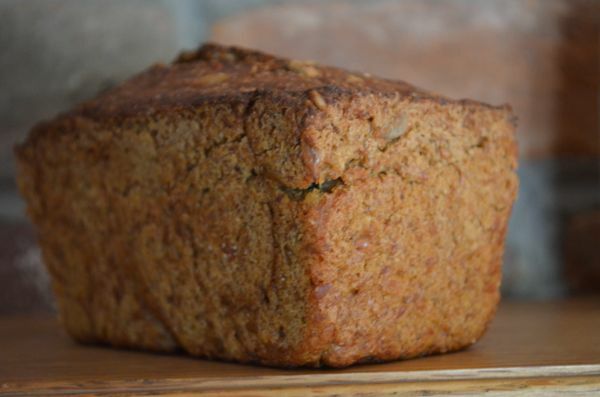 Chestnut flour may be available at an Indian Grocery store, if you have one nearby. Singada or singhara flour? You might be right, I translated Haferkerne (oat kernels) with steel cut oats. The only argument against it would be that the oats is more at the bottom of the list, and the crumb looks like there is a lot of the "white bits" in the bread. what is the purpose of the vegetable fat(shortening)? I might give this a try, without VWG and the chesnut flour. It looks very interesting. Hard to imagine the flavor. It is frightening to realize I have almost all these ingredients already! All but einkorn and potato flakes. I don't have a pan the right proportions. Would it be a pullman or just a square loaf pan? Paula, I wouldn't use shortening other than in pie crust (part) anyway, and I'm not sure what it is supposed to achieve other than softening the dough. I would probably leave it out, or replace it it vegetable oil. Since the bread has a little dome, it can't have been baked in a pan with a lid. I would bake it in a loaf pan, covered loosely with aluminum foil during the first part of the bake, then turn it out, and bake it free standing. Please, give it a try, with all the tweaks you think necessary. Add me to the cheering crowd, Karin. No runs to the organics store for me, i'm too lazy after work. Furthermore, chestnut flour is not available anywhere in Dubai. Very inspiring breads and post , of course. It would have been so nice to have you on (and you can always substitute chestnut flour with some nut meal), but I will be happy to see your knowledgeable comments on future posts. 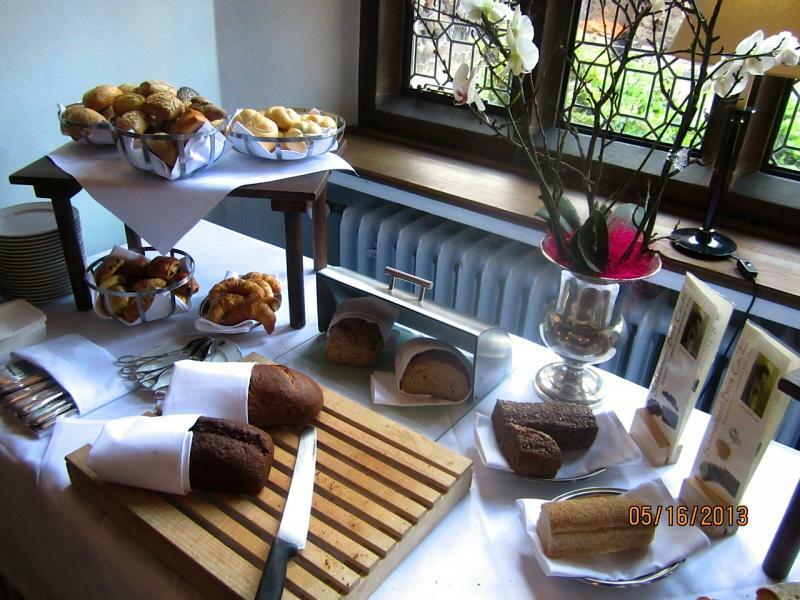 inspiring breakfast table, look at all those breads and bread rolls. Give me enough ideas for a few months worth of baking. I have never been to Sanssouci but seeing this, I should (not worry to much - "faire trop des soucis" and) go there once. I will not get everything here in Maine, either, never seen barley or spelt flakes around. But I don't think it would suffer from some substitutes. Oddly, this spell checker says spelt is not a word and suggests replacing it with spelled :-) Another example of how technology really just makes people more stupid and lazy in the end. I don't really know, but I think you can give your creativity free reign with this bread, nobody will be able to make an exact copy, and it will be interesting to see what people come up with. I am still musing about the chestnut flour - whether it's role is just as a starchy filler or if it adds flavor. Platano comes to mind as a possible substitute ... Never used it in bread before. Hope to bake this on Sunday. oat groats after you and Karin mentioned it. Lucy had some in her secret kennel pantry - had the entire list really not including he 2 odd rolled spelt and barley that she claims she has ever seen anywhere before - even in the old country. They sure turned out nice and white on the inside and puffed themselves up to about the right size after 20 minutes of boiling. Lucy is now convinced that is what those white spots are in the crumb, even if not listed in the ingredients and threw them in the mix before I could stop her. She's too fast for me these days and takes advantage of other people to pet her all the time too. as far as the water is concerned if listed by weight. It should be #1 on the list by a wide margin. Usually with a multigrain bread with this much variety, my experience tells me the water would be much more than twice the weight of the rye meal which in this in case which I pegged at 31% of the total flour ....I am at 84% hydration. just to get this dough to come together and have a consistency like my apprentice's formulas. Lucy also likes a lot of grain variety when she claims it to be a multigrain not just 2 or 3 different ones adn shee added to this list as well. 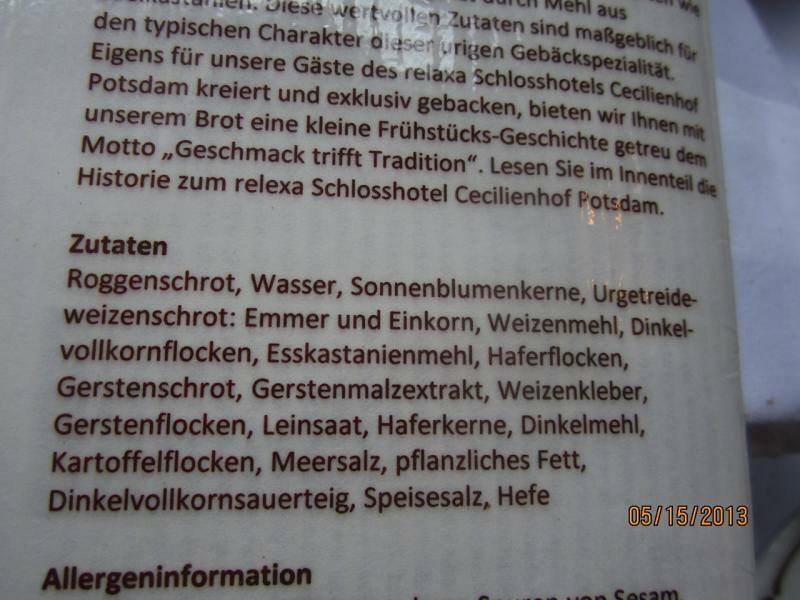 Maybe they didn't want to list water as first ingredient for all those non-bread-baking guests, who would have wondered about a "water bread". I will go by what I think might work - and what I like. what else might be out of place or named wrong? Oat groats comes to mind! Ok! The (2) 500 g coctail loaves went into teh fridge for an 18 hour retard. The dough tasted wonderful. I don't know if i am the only one besides Lucy who tastes the dough right before it is shaped - but we do. Wow! I have a sprouted grain bread started (the sprouts), so I have to do that first, and the my husband's birthday cake (Bohemian Hazelnut Torte), before I can get started. Wow great looking bread . . .
which must taste excellent! Despite dabrownmans encouragement to step in here, I simply do not have the high % whole grain baking experience. Now this rolls right into the Dman's sweet spot. It will be most interesting to see the final breads of this project. Perhaps after I see some successful loaves I may try one. before you go to the dark side Brian:-) I look at these breads like I do banana bread. It is sort of a mix and dump with a little bit of work. Make the levain, autolyse the rest, dump it together, do some slap and folds to mix it up, do some S&F's to incorporate the add ins. Let it rest, Shape it as best you can and dump it in a tin, put it in the fridge till it doubles 12- 18 hours, take out of the fridge and bake under foil to steam at 425 F for 20 minutes, take off foil and finish baking at 275 F convection to 205 F on the inside. 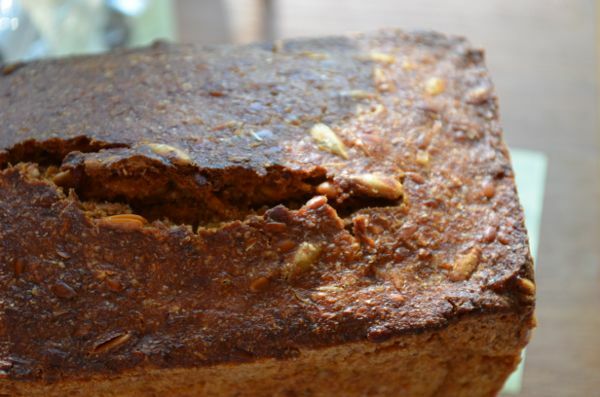 Are you really able to S&F a high percent rye bread like that? I mix them with the paddle attachment, because a kneading hook would only rotate futilely with the dough sticking to the walls of the bowl. Alas, I have to refrain from too much dough slapping. When I made some of Bertinet's breads, my husband accused me of being "slap happy", and having a much too intimate relationship with my dough ("The Other Man"). Late to this one. I don't often check out this 'room' and only knew about your challenge from another post directing me here. Love the post and write up as usual. Amazing photo of C.T. and S….. It's a pity that with the new format there is no information in the daily mails about new comments on a subject anymore, so that fewer people see it. I basically would have to send a private message to anyone who I think might be interested. I usually only look at what I get in the daily mail, and not in the home page. Fun challenge to do. Thanks for the inspiration. I am glad I found out about this in time to participate. not complain, if I sampled one of those.They look great! What formula did you come up with in the end? Thanks for participating in the challenge, Janet!!! Thanks for the complement Karin. I am curious to see what the other 2 people think of it. I am trying not to bug them so I am sitting on my hands. All were intrigued by the story behind the bread which I loved too. I cooked this all like a pot of oatmeal until grains softened and then let it sit until morning. In the morning I combined the sour and the soaker and let it ferment for 3-4 hours before the final mix. These were added to the sponge and mixed to combine all ingredients. I let it bulk ferment for about an hour and then, with very wet hands, I shaped it into 3 loaves which took several hours to proof prior to baking. After seeing my final results I would increase the rye a lot and maybe do all the scald additions at 1% each to make up the difference while decreasing the final whole wheat addition too. 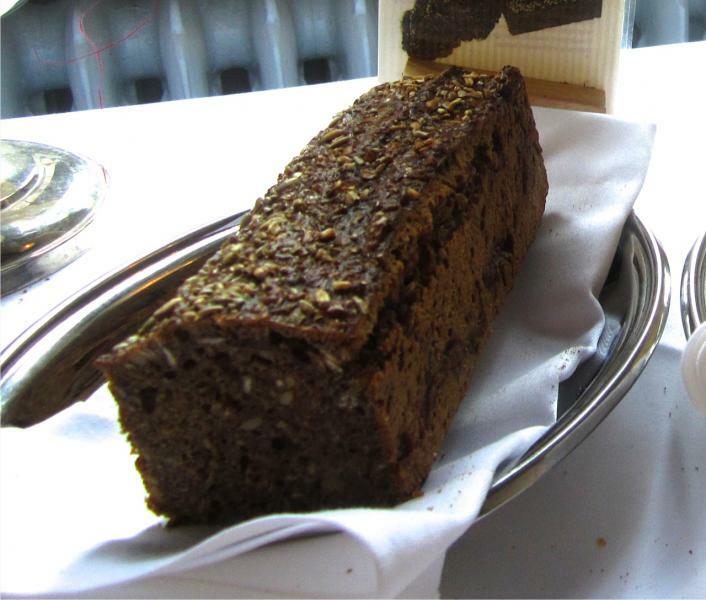 This would give the loaf a much more pronounced rye flavor rather than a blend of all the flavors. I just tried to use what was marked as 'meal' and 'flour' in the sour and the final dough which didn't include a lot of just fine flour. I had to adjust the water in the scald which required me to adjust the final flour too so this formula reflects those 2 changes in the ingredient #'s but not in the overall %'s which I will have to reconfigure at some point…. I used my KoMo to grind the grains so the ones marked 'steel' were milled at a setting beyond 'coarse' coming out practically whole. For the ones marked 'rolled' I milled them at a setting about 3/4ths of the way to the coarse setting. Makes kinda a flake but pretty chunky flour too. The honey malt was in powder form and used in place of the Barley Malt Extract. that this would not taste good! 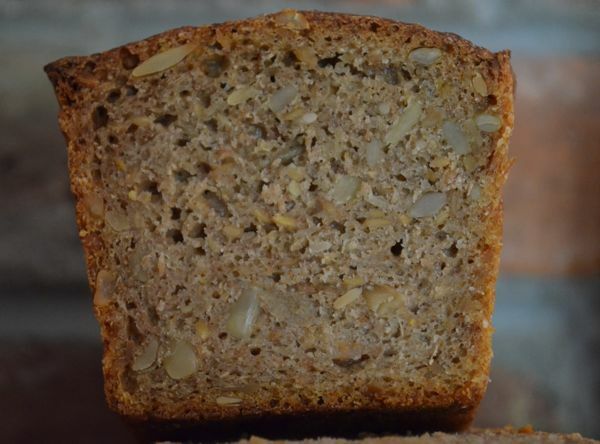 multigrain while grain sunflower seed bread Janet. Well done as usual. We don't see enough of your fine baking posted on TFL Janet. You cam out with about 5% more rye than i did. You are famous aroiund here for your gruel technique and have to admit I was tempted to use it too:-) This bread has to taste great! I just looked at your Friesisches Schwarzbrot post and since I have all ingredients but the molases on hand, I have started the starter. I may even have to add in some 'toadies' and perhaps buy some steel cut oats to keep in the spirit of things. This will be my first try at a all grain bread and should be interesting. Brian is going to the dark side and now there is no hope for him of ever baking a decent Tartine or fine Forkish loaf agian :-) No DO required now! Great, Brian, the more, the merrier! two 500 g coctail loaves after 24 hour retard adn 2 hour warm up on the counter.. Will wrap them when cool and cut them in 24 hours. They sure smell good. Crust is nice and crisp now. They do look very nice, and I'm sure they taste good, too.